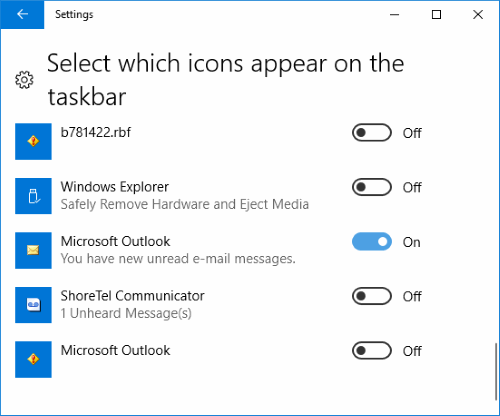 We show you how to enable or disable the email notification box that appears in the Windows Taskbar whenever you receive a new message in Microsoft Outlook. In Outlook, select the “File” menu. Choose the “Mail” option in the left pane. Scroll down to the “Message arrival” section. 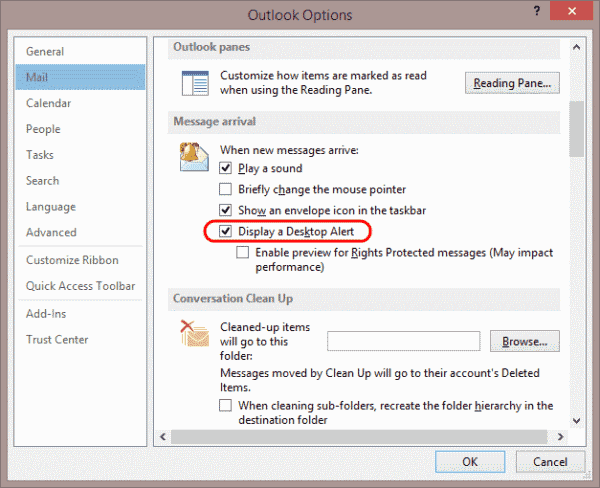 Check the “Display a Desktop Alert” box if you want a notification box to appear when you receive an email. Uncheck it if you don’t want a notification box to appear. You can also choose “Show an envelope icon in the taskbar” if you wish. 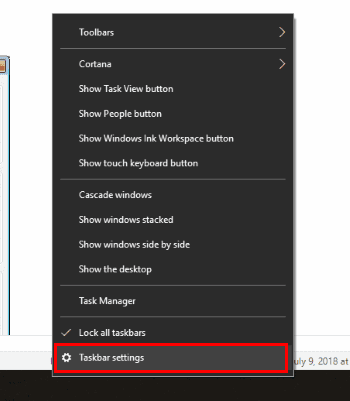 Right-click a blank area on the taskbar, then select “Taskbar settings“. Scroll down to the area that says “Notification area” and choose the “Select which icons appear on the taskbar“. Look for “Microsoft Outlook” entry. 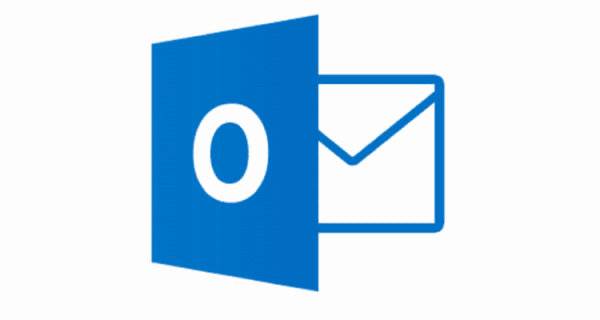 There may be several, but look for the one that says “Microsoft Outlook – You have new unread e-mail messages.” and toggle it to the “On” position to enable it. Turn it “Off” to disable it. None of these worked for me. I’m still getting a big annoying notification every time I receive a new email. nicely written explanation, but all these settings were already turned off, yet I still get a window pop up on emails. Hi Mitch, i am getting new mails on real-time basis but the notification alerts will come together sometimes after 45-50 minutes. i might have already read and attended to the mails…. Its very annoying as it will not allow to work or type during the alerts are running. Any ideas how to address this? Stop harassing her Bradley. No means no! 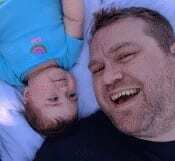 A girl in my office shouts at me when i send emails, what should i do? I am trying to turn the sound off the notification bar for Microsoft Outlook I do want the notification when I receive an email but I do not want the sound please help me. I tried those steps and it didn’t work for me. I would get a little mail icon in the corner but I couldn’t see the message. For it to work for me, I clicked on the notification box in the corner and all my notifications came up. If you right click one of your email notifications, it will say, “go to notification setting”. Click on that and you will be able to edit those settings. Mine is working now. I have a user that gets new emails but the alert sometimes is 45-50 minutes before the popup appears. Any ideas? In the Taskbar, “Select which Icons appear” there is no “your have unread email messages” option. Hi, I did everything you say but I still not receive the mail preview on the taskbar. I’m using Windows 10 and outlook 2016.